Content is the king of the online market. After all, it has the potential to draw the target audience to your website, increase your revenue, and grow your business as a whole. Agree or not, you tend to rely on content marketing in some way or the other to make your brand stand out in the market. But, the fact is, content marketing is not as easy as it looks! One of the major reasons people find it difficult is that they don’t know where to start. If you are amongst this lot, it is recommended to first understand the basics of content marketing and how can it influence your business positively. Placing the right strategies and tactics can really help you hit the target. Additionally, with different content marketing tools available, you really have the scope of going a step further with content marketing. If you are running a business and have an online presence, you know the significance of creating appealing content. You will need to carefully come up with a plan – a strategy that will bring your brand a step closer to your target audience. Well, there is no rocket science involved here. 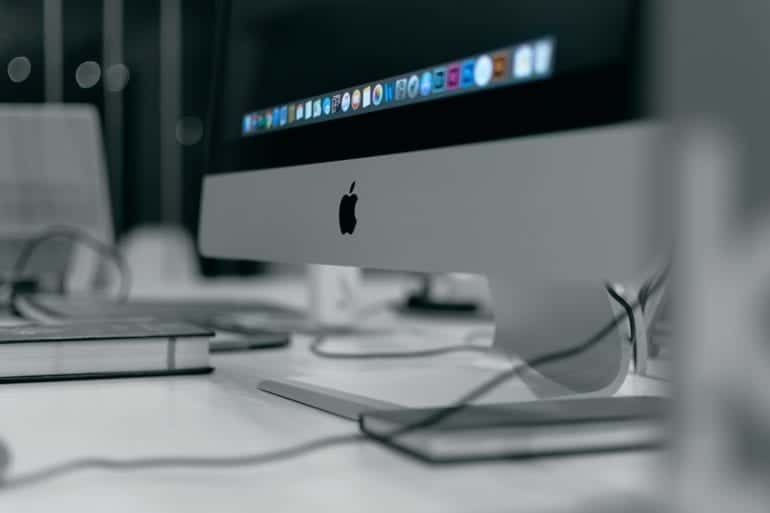 Simply put, content marketing revolves around creating and promoting fresh, unique, and informative content that sounds interesting to the audience. For this, it becomes imperative for you to understand the buyer’s journey as it will help you to know what drives them to engage with your brand. “Stop Doing Content Marketing!” Who’s Saying It And Are They Right? As a matter of fact, you can influence the buyer’s journey during the different stages with the help of content marketing tools. So, what are those stages? Awareness – Buyers have a particular need, but they are not aware of the existence of your business. Brand awareness becomes vital here. Content marketing tools can play their part here by letting them know of your presence. (We’ll know about these tools when we proceed further). Consideration – This is the stage where the buyer must have already shortlisted a few companies. Now, to arrive at a decision, he will opt for deeper research. At this time, if you have a tool that can keep track of your potential buyers’ interest, you will be able to adjust your content accordingly to influence their decision in your favor. 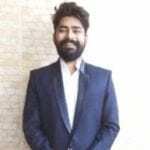 Decision – The buyer is ready to purchase and will finally look at the deciding factors like experience, implementation, costs, customer support, and so on. Being brand-specific with your content will help you here. You should use customer testimonials and case studies that portray the positive experience of others as this can contribute to converting your prospect into a buyer. 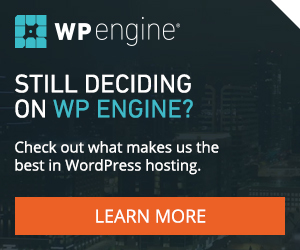 Now, the next confusion is – which tools to use? There are literally hundreds of content marketing tools available to assist you. Well, don’t worry. You can explore different tools anytime in the future, but as a start, you cannot miss these four powerful tools that can help you save time while becoming more effective with the content marketing. When you are running a business, it is imperative for you to keep an eye on your competitors. In order to identify how your competitors rank on Google, one of the interesting tools to use is SEMrush. 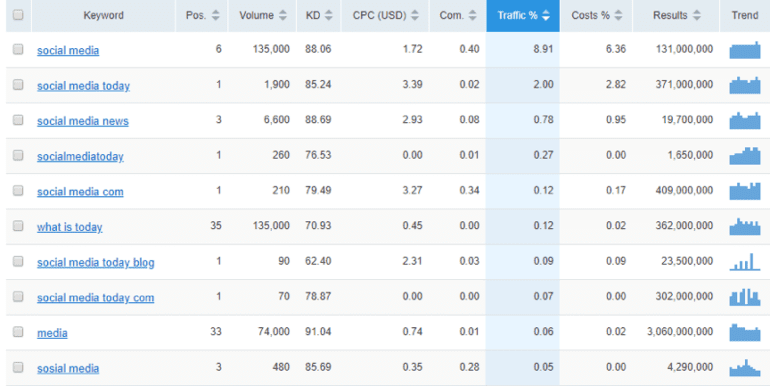 The game of content marketing is all about keywords and SEMrush helps you assess the keywords that the competitors are using to rank on Google. Using this content marketing tool is not at all complex. All you need to do is enter your competitor’s web address in the SEMrush SEO toolkit and see a list of keywords for which it ranks on Google. Within no time, it will reveal the top 10 organic keywords that are driving traffic to your competitor’s website. The best part is; you can do this by registering for free! Isn’t that a quick way of doing keyword research and using it for your own website? Not only this, SEMrush also helps you to view your competitor’s backlinks and top referring domains. Here, you can check the estimated organic traffic they are getting and further perform a complete competitive analysis based on the inference. 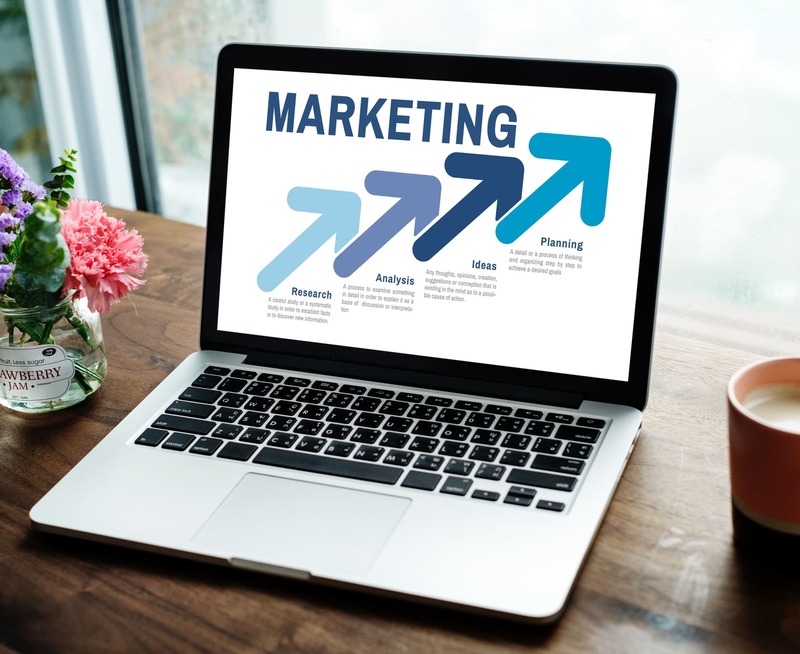 In short, using this marketing tool, you can target your competitor’s audience by enriching your content with the keywords that the prospective customers are looking for. You can opt for the paid version too, in case you want to access the premium features of SEMrush. Value Upfront. Every time. As Long As It Takes! You have decided to invest in content marketing, but aren’t sure what type of content gets shared the most. As a marketer, your aim is creating content that gets shared across different social media channels and earns a lot of shares and engagement. BuzzSumo can be your rescue agent here. This tool lets you find what works for your niche in the best way possible. Not only this, it also helps you to locate target placements for your infographics in a way that attains maximum visibility. In order to find the most shared content on social media channels, enter a website address on BuzzSumo. This address can be yours or your competitors’. Doing so will give you insight into the type of content that is being shared pertaining to that specific keyword. Now, finding hot and trending content around your preferred topic is just BuzzSumo away! You can start with their free trial and opt for the paid version once you find its potential in content marketing. How Will Artificial Intelligence Revolutionize Content Marketing? Content marketing is not a one-time activity. You need to come up with regular content, which means you will have to manage their postings almost on a daily basis. Now, doing this on your own can really be time-consuming. What if you have a tool that can help you organize this? 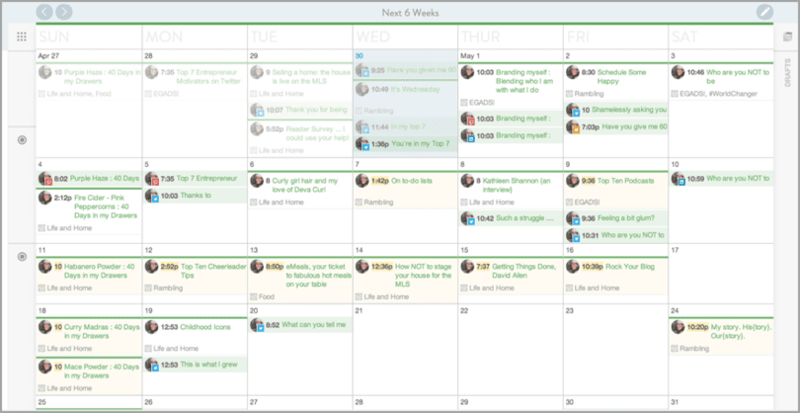 CoSchedule is an editorial calendar that makes managing content a breezy affair for you. 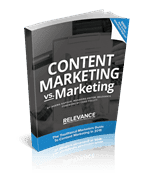 You will easily be able to keep your content fresh, engaging, and consistent with this effective content marketing tool. Managing your content marketing this way will not only bring ease and organized structuring, it will also gradually assist you in building your web presence amongst your target audience. Invest a couple of hours in coming up with engaging posts of all sorts and schedule them easily with the help of CoSchedule. You can view all your scheduled posts easily in one place. With the drag-and-drop feature, seamless integration with WordPress, easy scheduling of social media posts, and even re-scheduling of an old post – CoSchedule can really make your content marketing job easier. CoSchedule has a 30-day free trial and you can upgrade your plan with the paid version as per your business needs. Do you know what type of content your target audience is engaged with the most? Google Analytics can help you out here. It also has the potential to guide you on what works and what doesn’t. It comes with incredible reporting features that track your marketing performance at absolutely no cost. It is, however, a pre-requisite to gain expertise in using the same, else it can quickly become overwhelming. Google Analytics is extensive and you really need to go step-by-step in finding out the content that draws your target audience. This isn’t as simple as it looks. There is much nitty-gritty attached to it. Hence, you will need a professional here who is acquainted with the in-and-out of Google Analytics and can make the best use of it while bringing a significant difference to your content marketing. Always remember, content marketing is not just limited to what to write and how to write. It is beyond that. Apart from creating interesting, precise, and engaging content, you also have to ensure that it reaches your target audience. 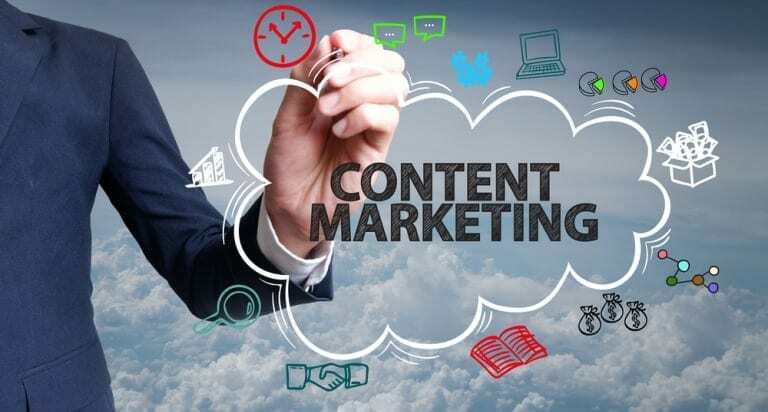 Begin with these content marketing tools first and move ahead while exploring a lot more – after all, in the end, all you’d want is to see your content marketing bringing about a remarkable change to your online presence and your overall business, isn’t it?